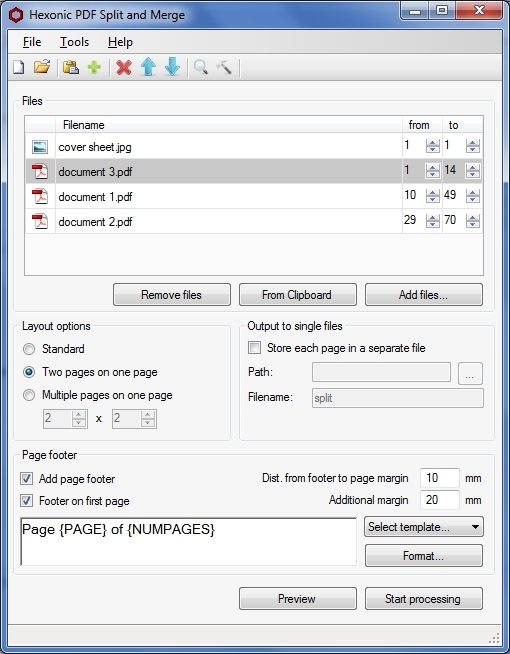 Hexonic PDF Split and Merge allows you to easily merge an unlimited number of PDF documents into a single one. 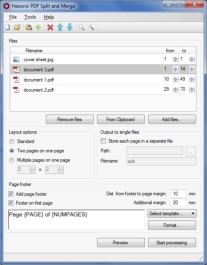 With the splitting feature, a new document is created for each single page of the source documents. Hexonic PDF Split and Merge is free for private, non-commercial use. This product utilizes InstallMonetizer.com’s software recommendation platform. See Information about Installer for more information. For commercial use, a license must be purchased after a trial period of 30 days.